Guess I got a little too excited about taking Disney character photos last weekend! Another follow-up – this time to day 10. I spend all kinds of time making sure my lenses are protected. Lens hoods. Lens caps. UV filters. Protective bags and pouches. And I’ve been successful. So with all that energy focused on the lenses, I got a little careless with the other end of the camera recently. The LCD screen on the back of the camera. Typically the LCD screen is exposed. 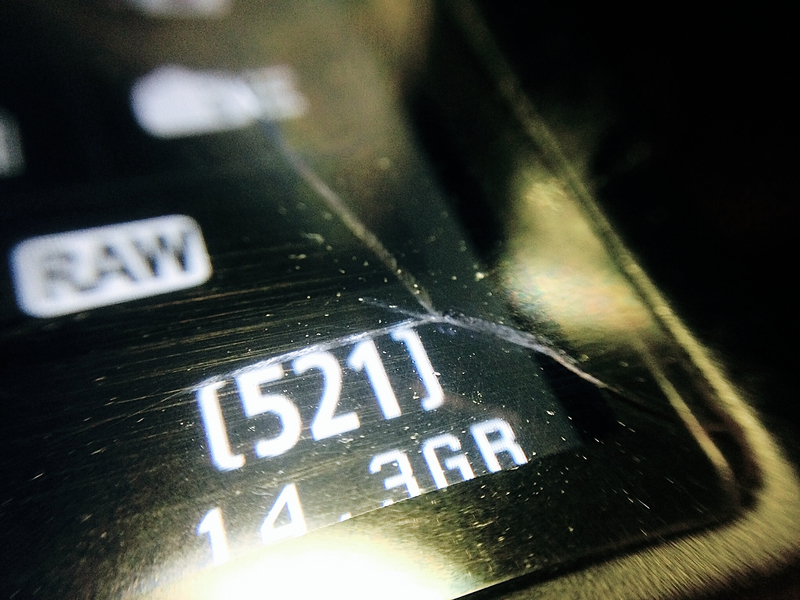 Luckily the Canon 60D LCD screen has a protective layer of glass on top. It saved my LCD screen for sure. Guess I’ll be investing in one of these for my 7D.